The PaK 36 was used as a horse drawn and later motorized transported anti-tank gun by Rheinmetall. It was partly repurposed during its replacement by the PaK 38 and 40 as a weapon on the several Sd.Kfz. 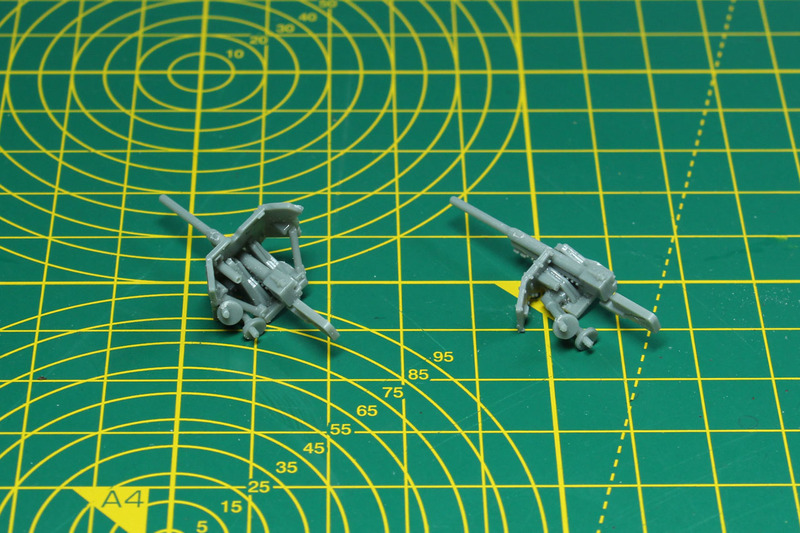 halftracks. This weapon was in services with the German army on most of the early war theatres as well as with second line and training units until the end of the war. It was used by many other nations like Italy, Finland, Hungary, Slovakia, and even in China, after it became obsolete in the western battles, against the Japanese Ha-Go and Chi-Ha tanks. Upgrading the damage potential of the PaK in the late years of war was the capability to fire a Stielgranate 41. With this charge the PaK could penetrate most armour, but at a lower range. As the PaK 36 was much lighter compared to its successors, it was issued to lighter / more mobile equipped units like Fallschirmjäger with this load out. 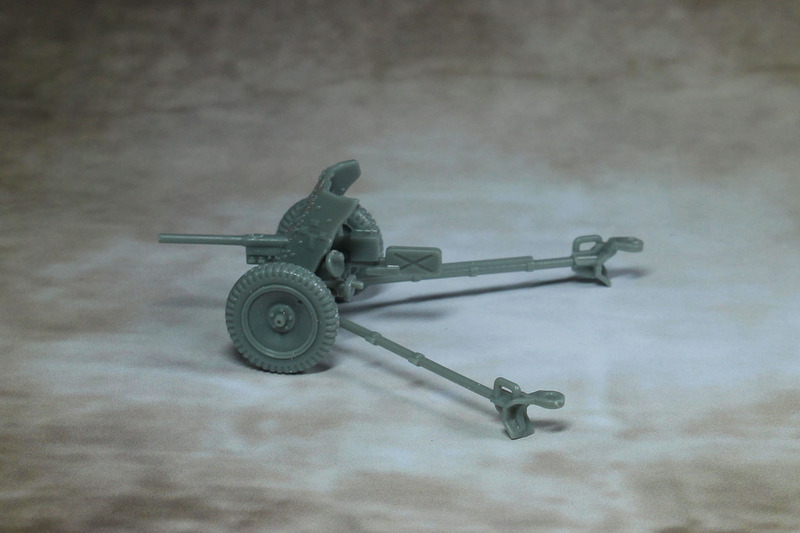 Rubicon Models offers the PaK 36 including an early war crew at a price of 12 GBP. 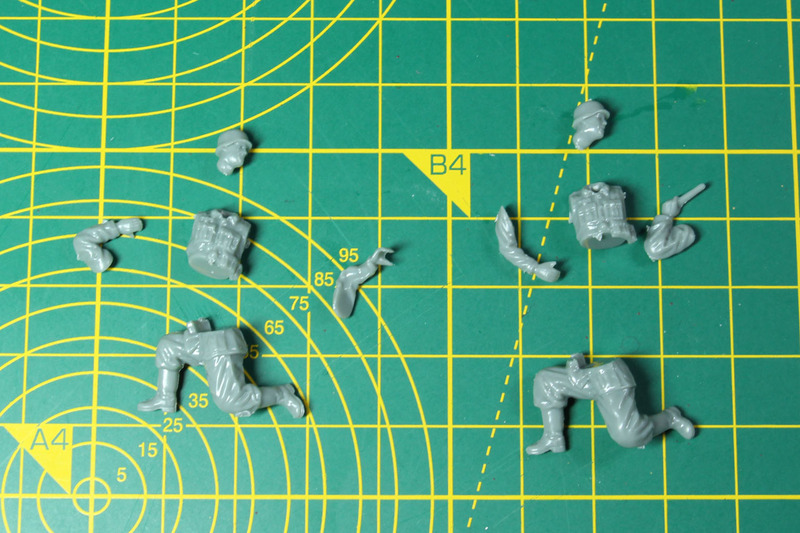 It is made from ABS plastic and kept in 28mm / 1:56 scale. 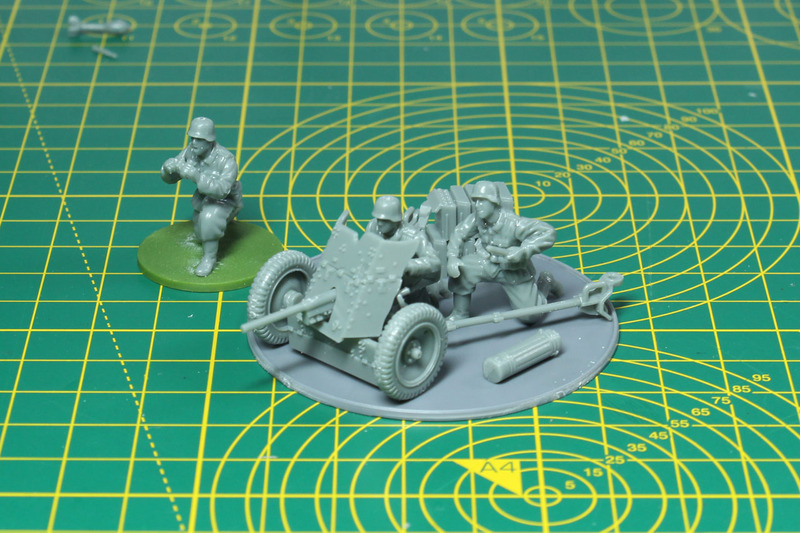 This kit covers a large frame for the anti-tank gun and two smaller ones for the crew. 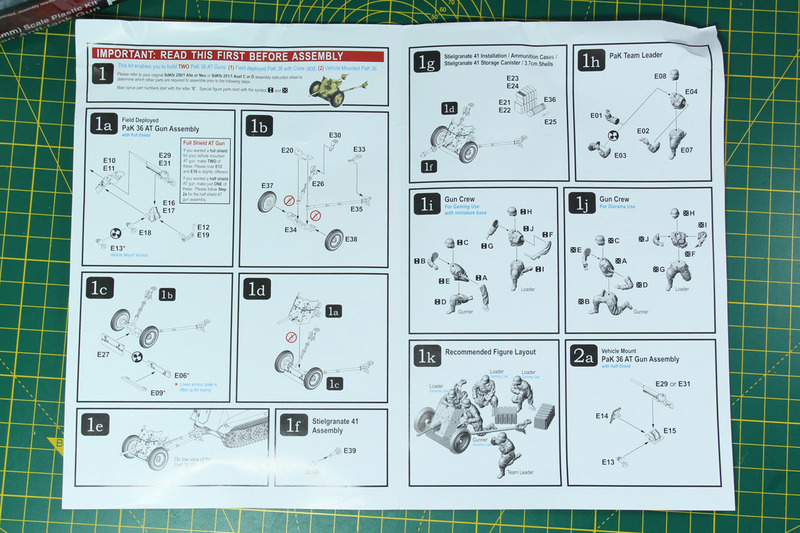 In addition you will find an A5 leaflet covering the instructions. 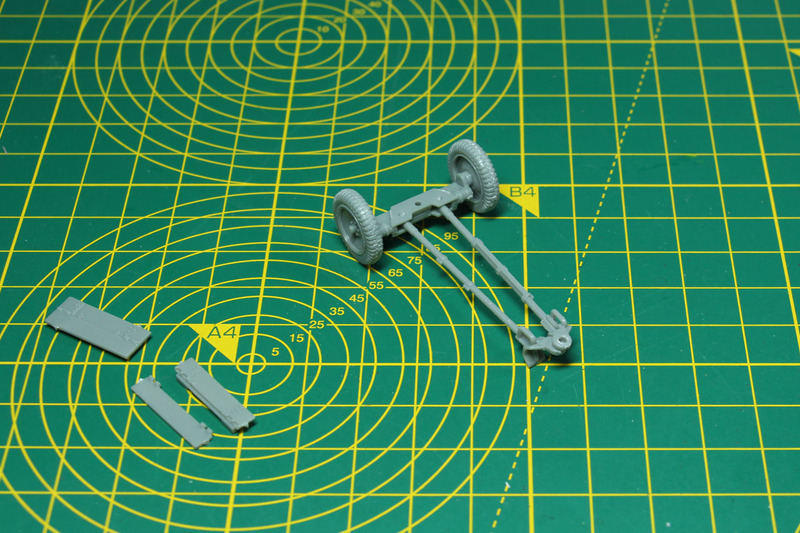 With this kit you can also build a vehicle mounted version of the PaK 36. The casting is good. 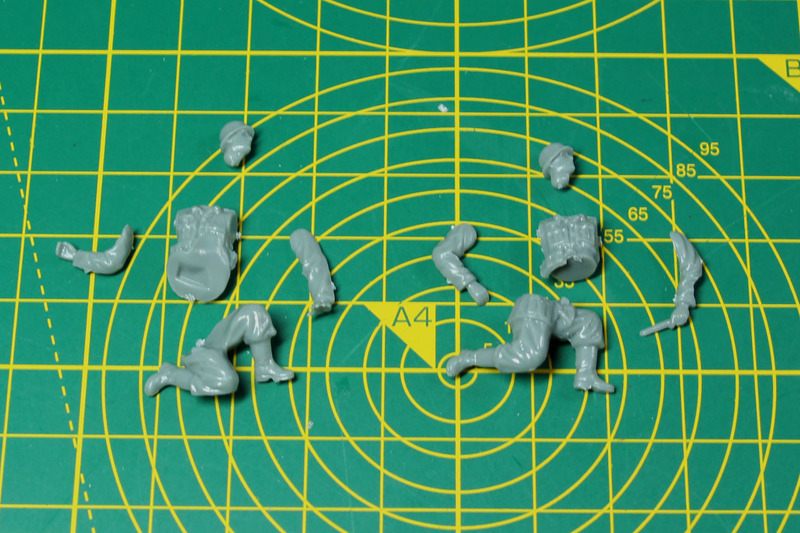 They use a lighter grey plastic now which is a bit glossier on organic parts of the models like the crew. If you find the material to be greasy, give it a brief rinse in warm soap water to remove any remains of release agent. 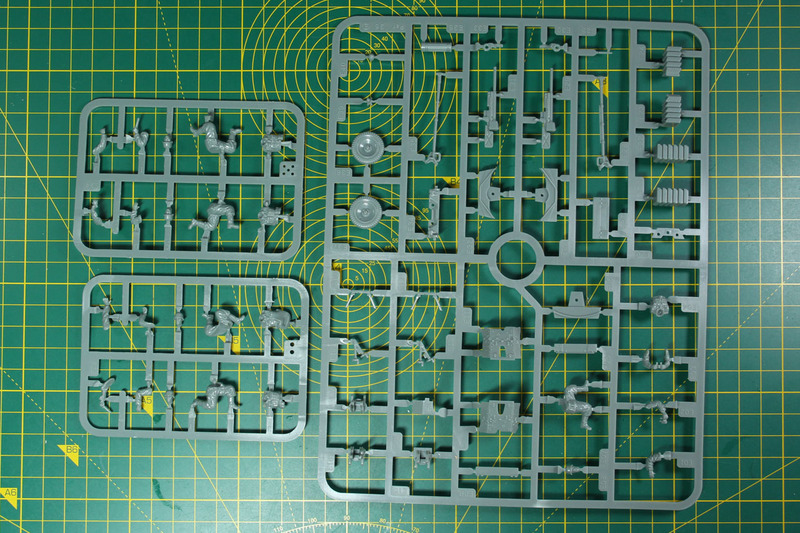 Mould lines were minimal and the sprue properly filled. 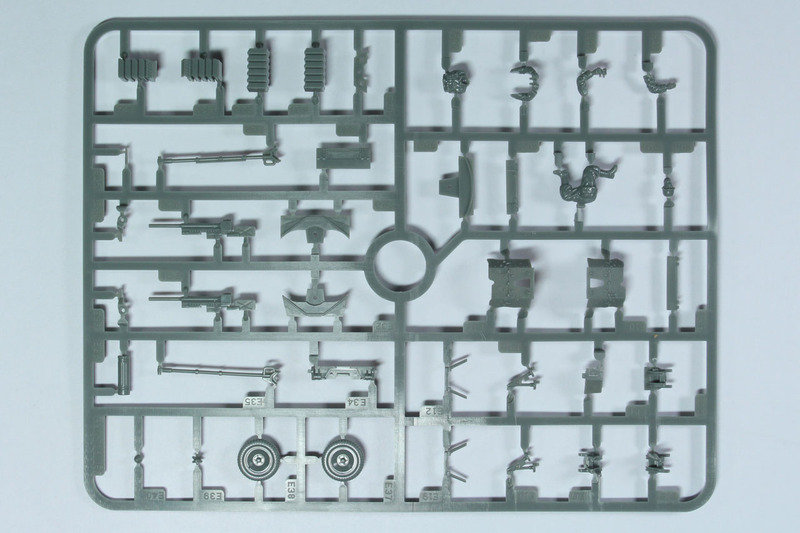 Rubicon Models uses ABS plastic for their kits. 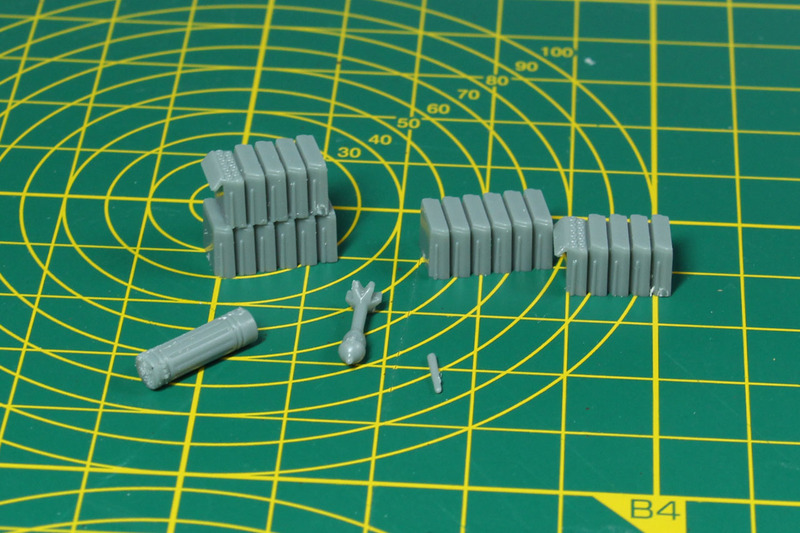 Therefore you should use the appropriate glue to handle the material, I use Tamiya Cement ABS. Uhu Plast Special would be an alternative, depending what you can buy in your area. 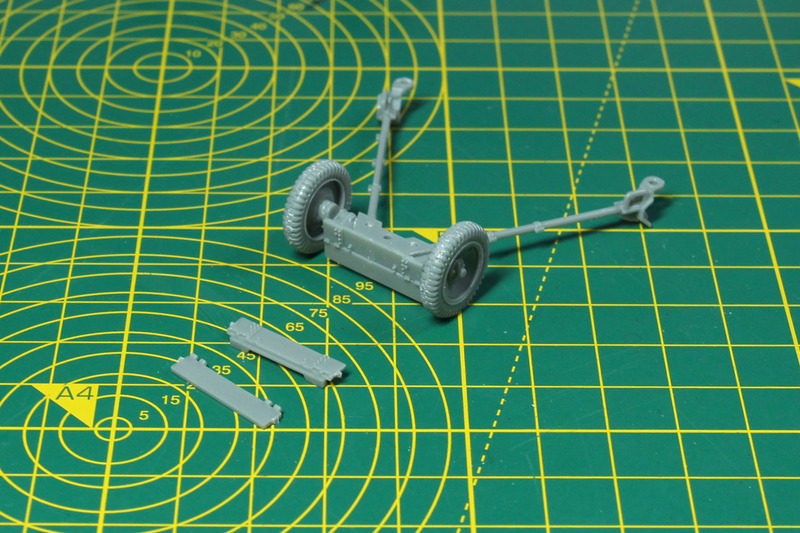 As mentioned above, this kit gives you not only the option to build a regular anti-tank gun but a vehicle mounted version of the gun as well. 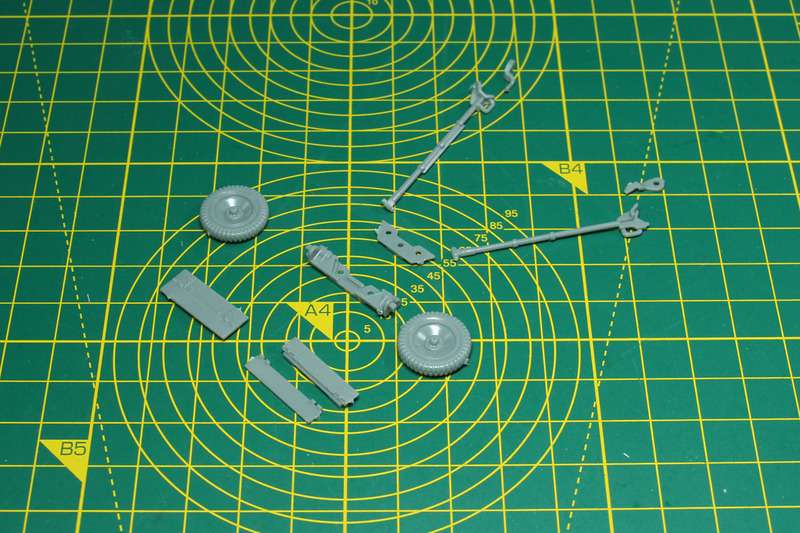 Therefore there are enough parts in this kit to build two of the main guns. For the vehicle mounted variants you can either use the "full" shield of the PaK or a half shield. 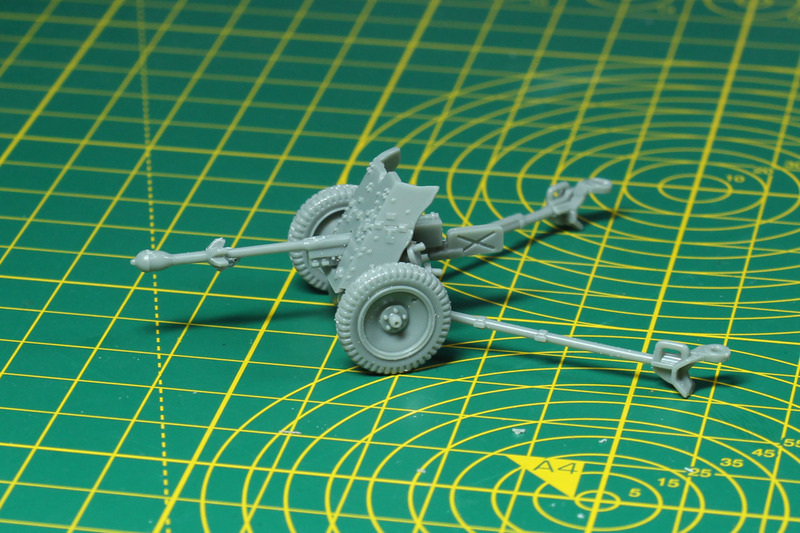 As for the gun carriage of the PaK, this is a very mobile set up. 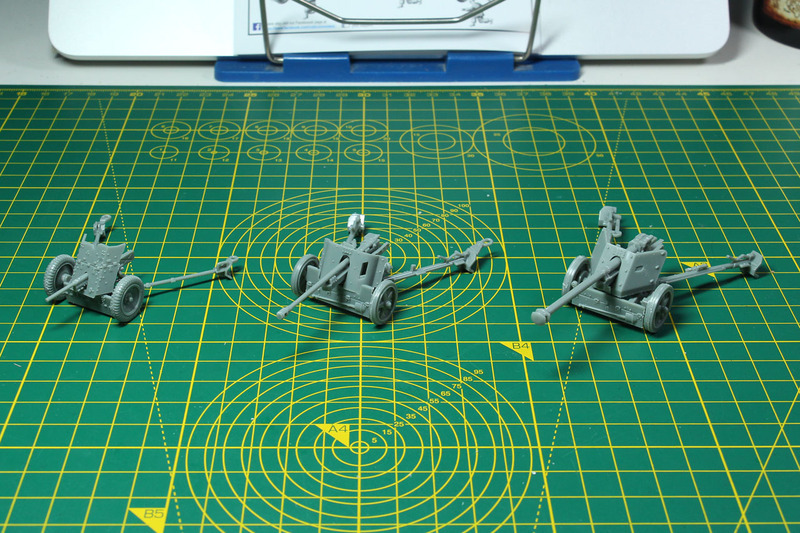 The rods of the split trail aren't glued to the remaining gun carriage, just put in place, so you can open and close them, whether you want it to be in transport or fighting mode. The lower armour plate is available in two designs, a single piece and a two piece plate, where the lower plate is lifted up for transport. 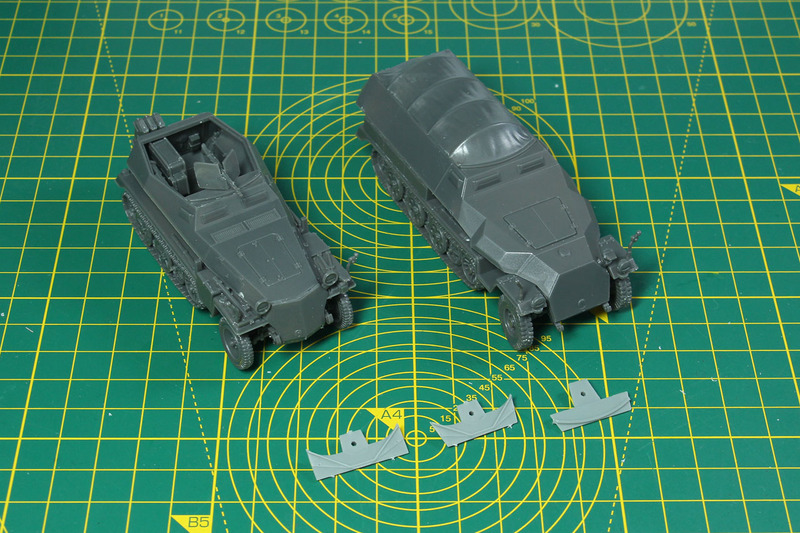 As you can see, the PaK carriage can be build in two variants, so if you want it to be towed for gaming or diorama use, this option is covered as well. The bearings are made in such a way, that they can be hooked into the towbar of the different vehicles. 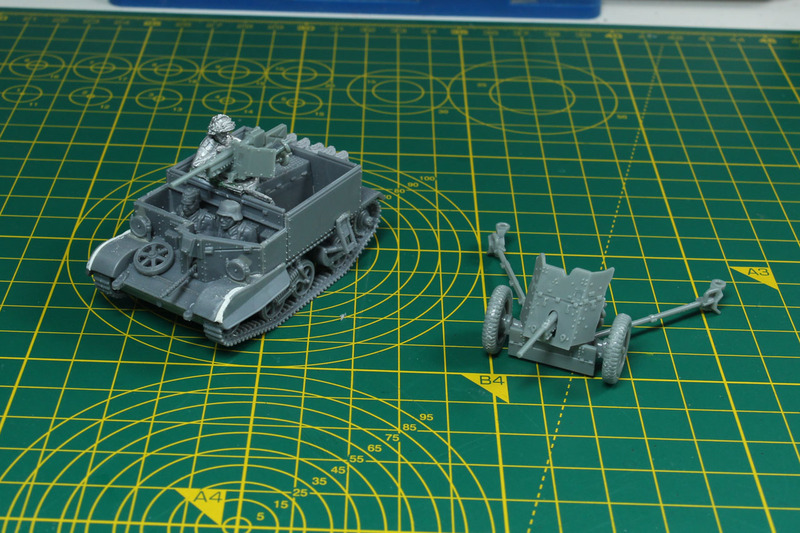 As this one is going to be build in a regular fighting pose, the carriage was build opened up and the gun was added to it. You don't need to glue it, you just put it on top and it stays there by a pin. This way you can turn the gun towards the aim if you want to. 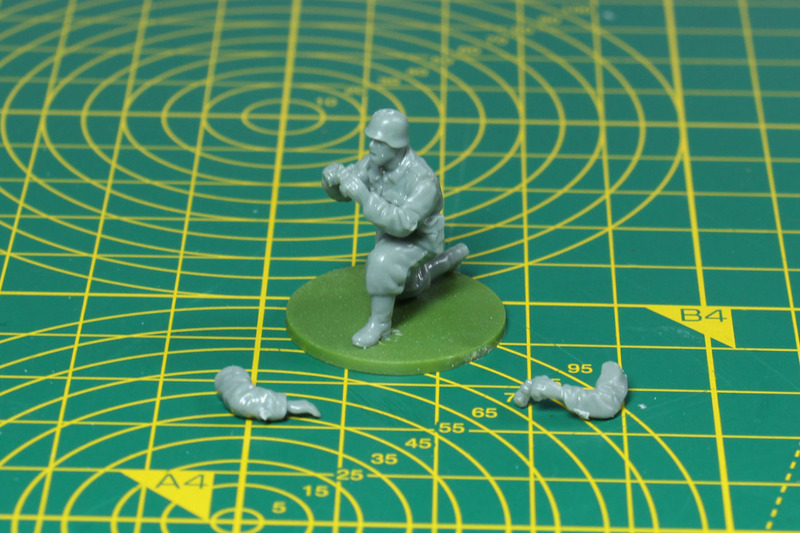 Rubicon covered a couple of ammunition cases for the 3,7 cm ammunition as well as the Stielgranate 41, which is although included in this kit, in case you want to use it for example with Fallschirmjäger or late war units. 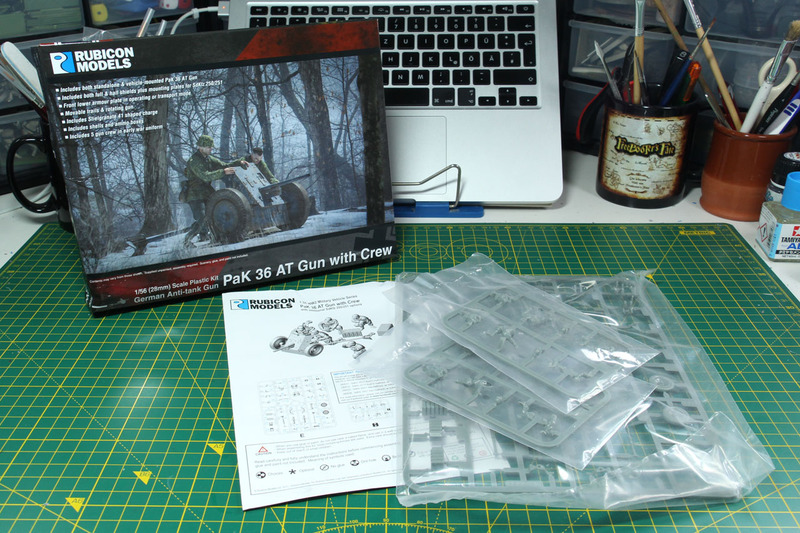 The team leader is the only crew member that is included in the PaK core frame. It comes with two arm options, both using binoculars, but one with a signalling hand. 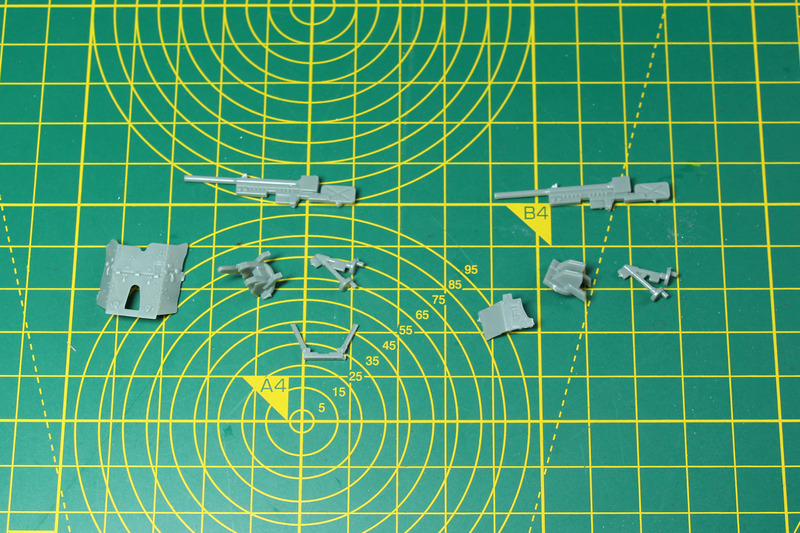 The gun crew comes in two variants, for gaming use with miniature bases (left) and for diorama use (middle). I used regular Renedra bases to position them. 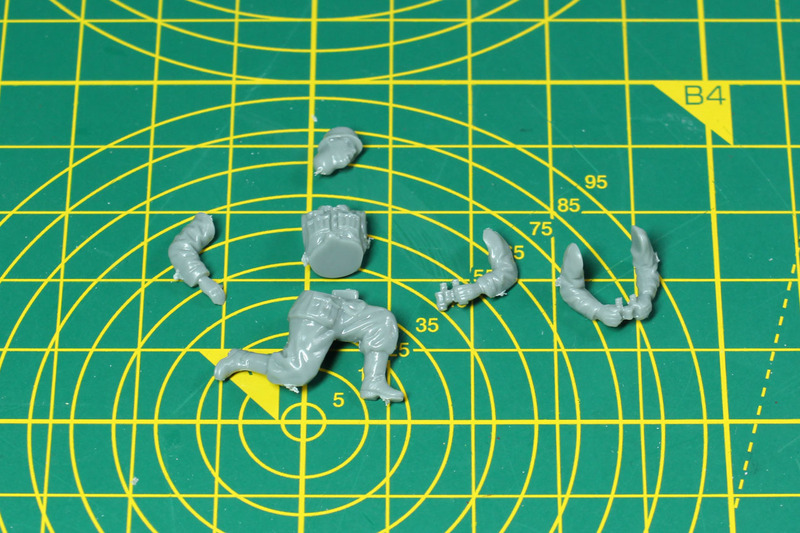 When gluing the crew to a base I recommend the use of super glue as neither regular plastic glue nor the ABS glue will bond the two different materials properly. 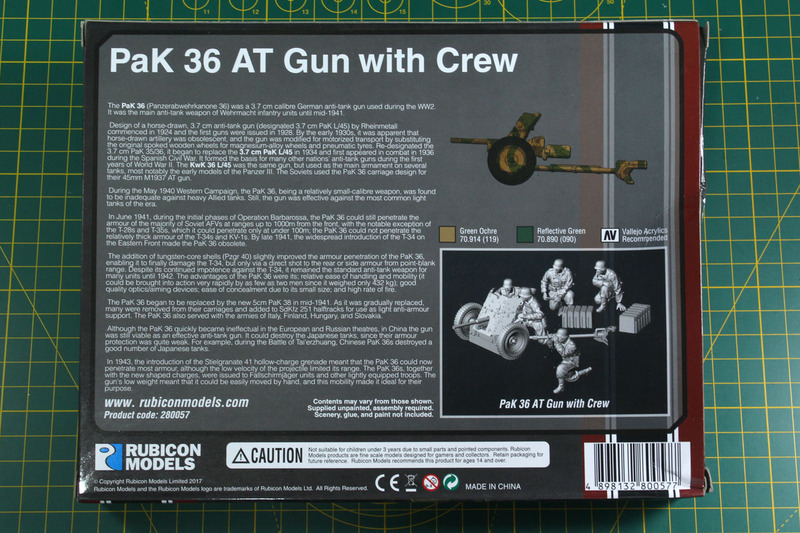 A demonstration of the gaming use crew and the diorama crew along with the PaK 36. On the last page you can see, that the vehicle mounted version of the PaK can be added to the Sd.Kfz. 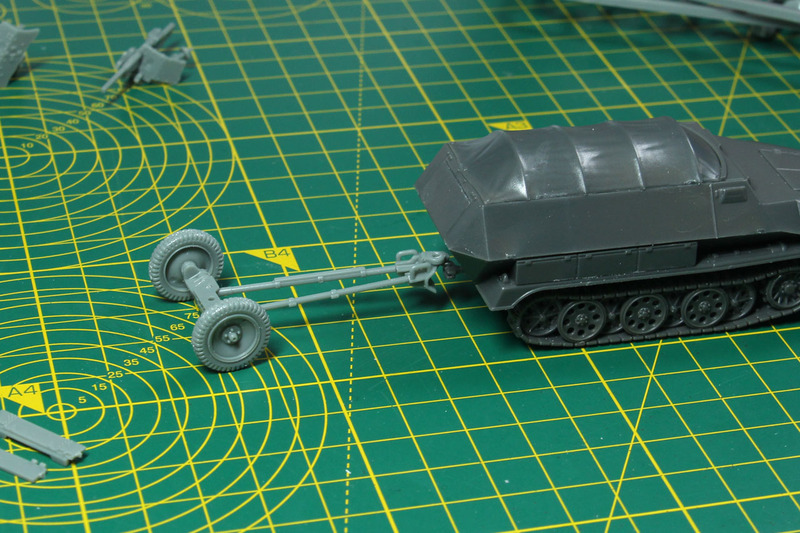 250/10 alt or neu, along with the Sd.Kfz. 251 Ausf. 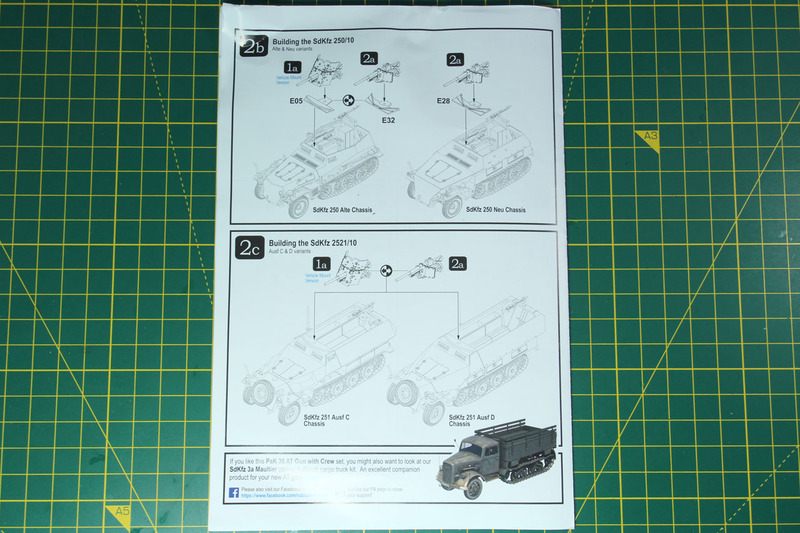 C or D. Rubicon covers the mounts for the Sd.Kfz. 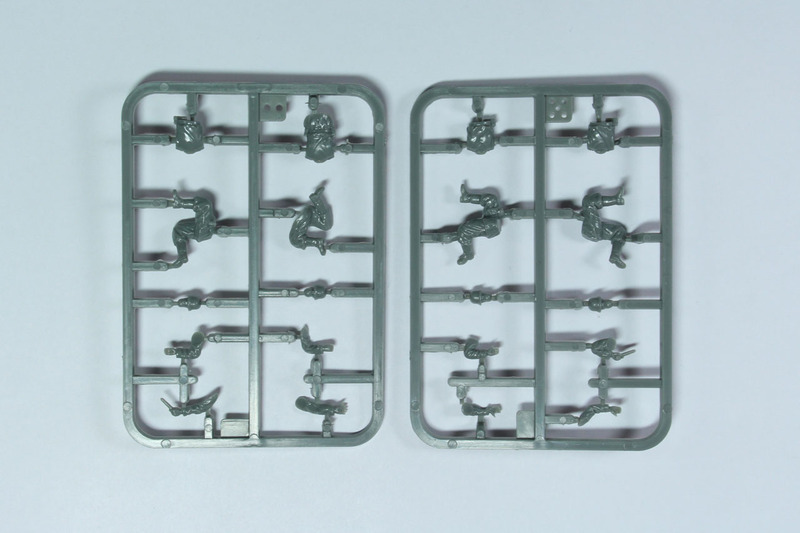 250 in the sprue as well. 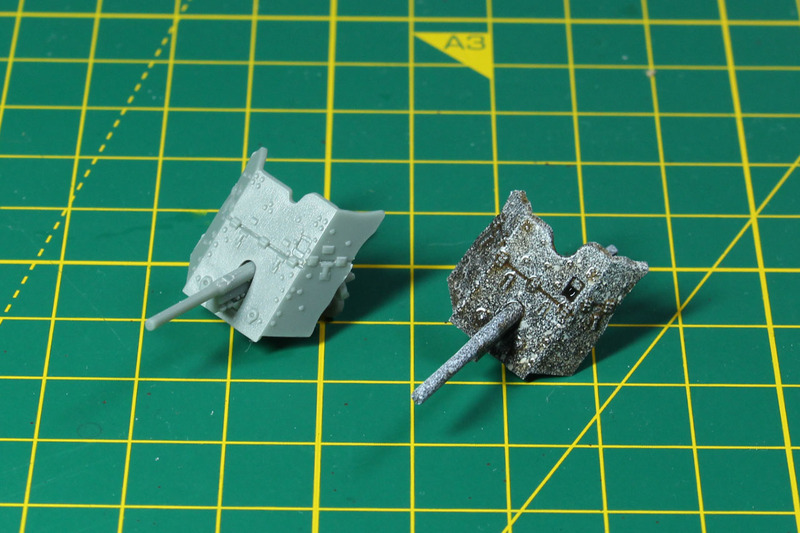 Unfortunately the two Sd.Kfz. by Rubicon I own are already build, so I can't show it to you in this review. 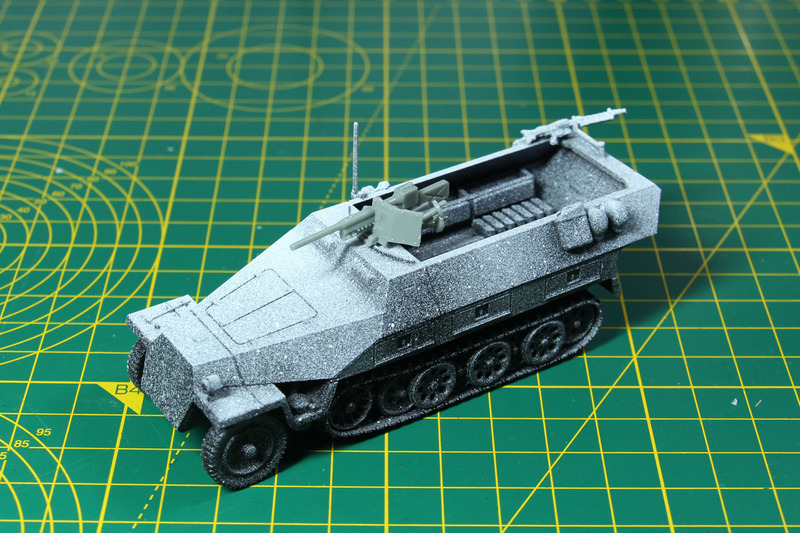 But I have a Sd.Kfz. 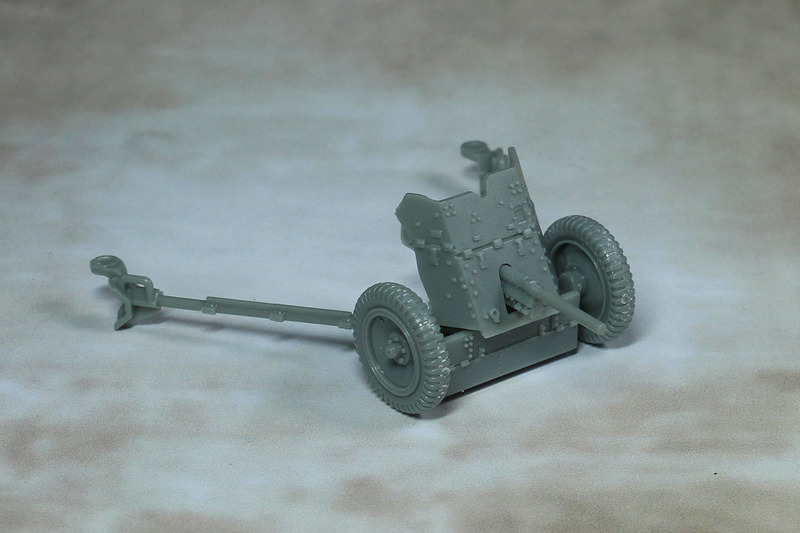 251 with PaK by Warlord Games, so you can see the PaK 36 by both companies in comparison and as you can see, the Rubicon gun fits the Warlord as well. 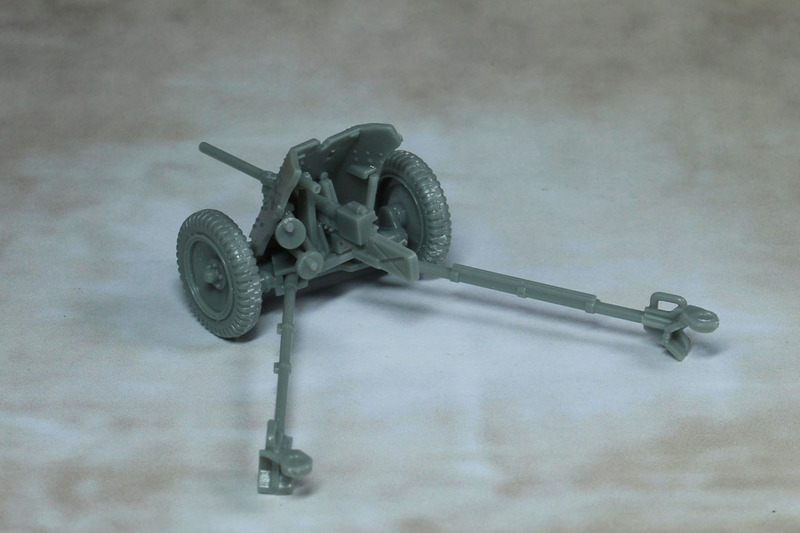 The German army didn't just put the PaK 36 on the Sd.Kfz. 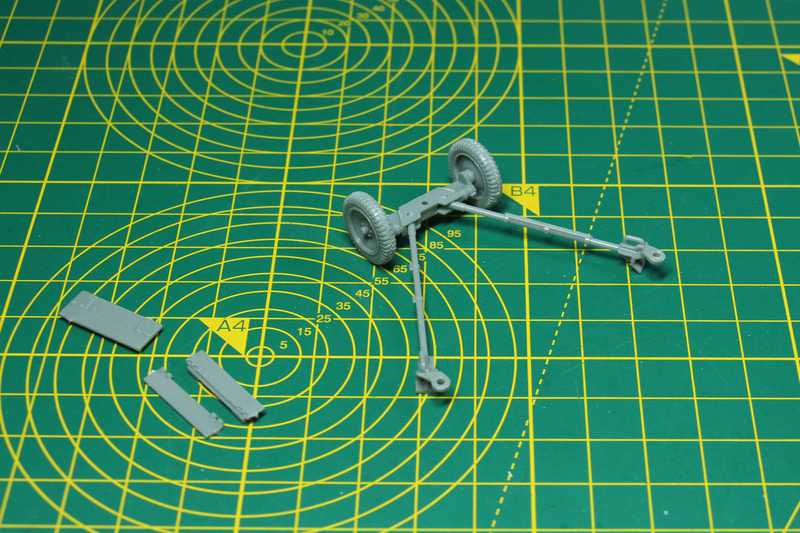 but on captured Bren Carriers as well, so you could build your own 3,7 cm Pak 36 auf Selbstfahrlafette Bren-Carrier (e). 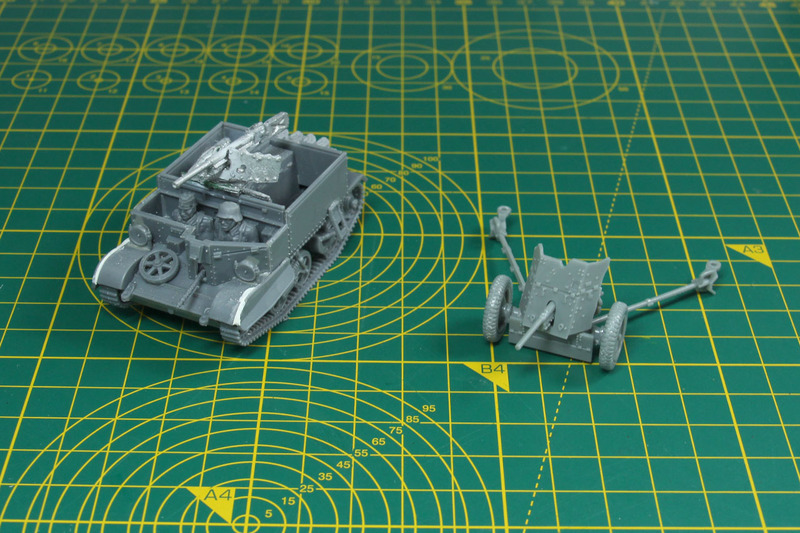 A comparison in scale between the PaK 36, the PaK 38 and PaK 40. 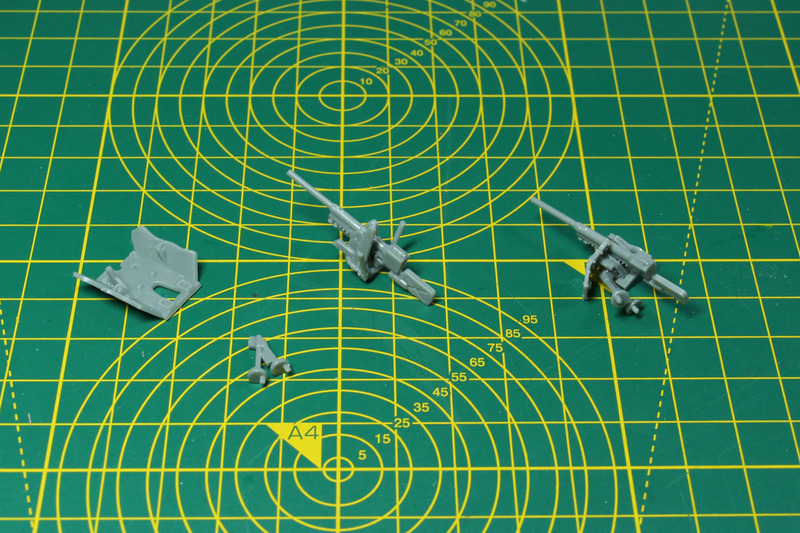 And the assembled PaK from a couple of angles. A proper Rubicon kit. 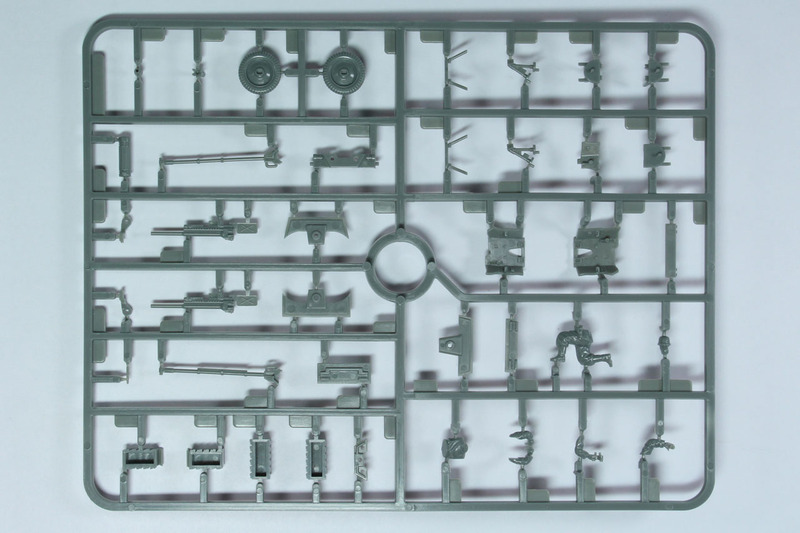 They use the space within the sprue to a maximum, as you do not only receive an anti-tank gun, but the additional parts to convert a vehicle into a mobile anti-tank weapon. Of course it comes with the options to be build in a towed position. 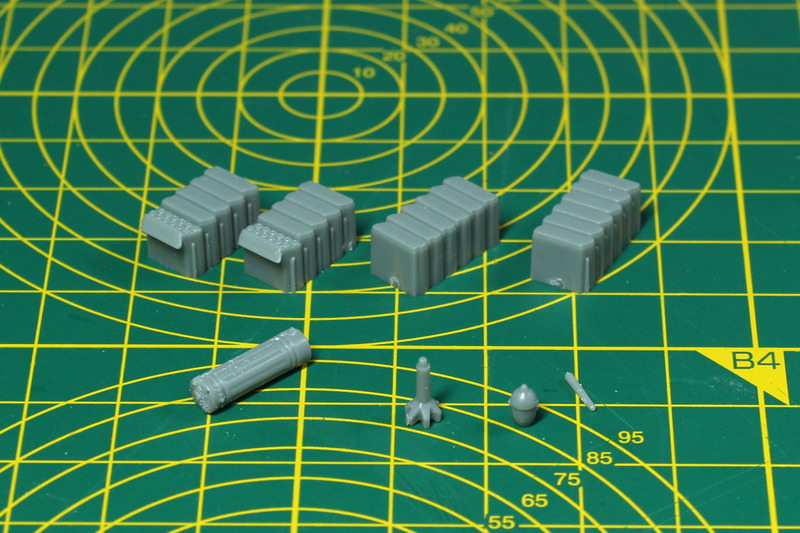 And even covers two sets of crew, if you want to put the anti-tank gun on a single larger base or put the gun on a base by itself or even without one, just basing the crew. It would have been great, if they directly included some of their new bases to this kit. But as they do not promote a rule set of their own, I can understand that they leave that option to the customer / players, instead of raising the costs on their side for potentially unused bases. 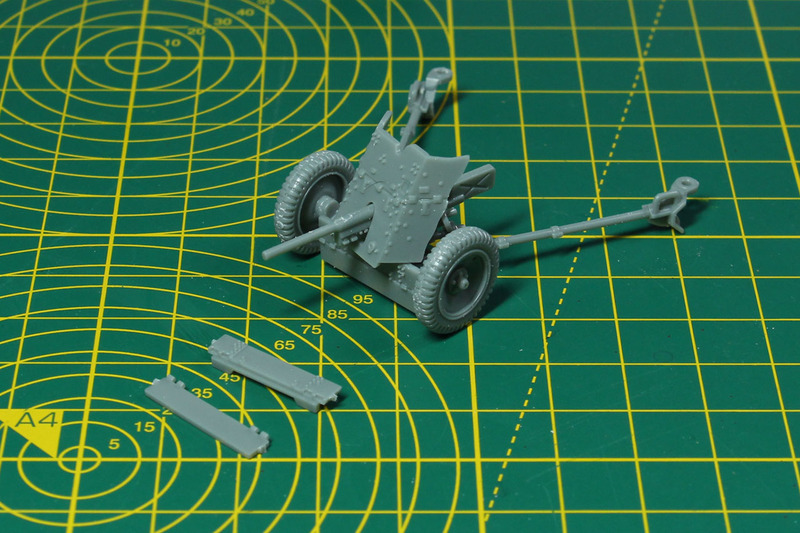 Building the anti-tank gun went fast and easy, the fit is superb and less of a hassle compared to other models made from resin or metal. 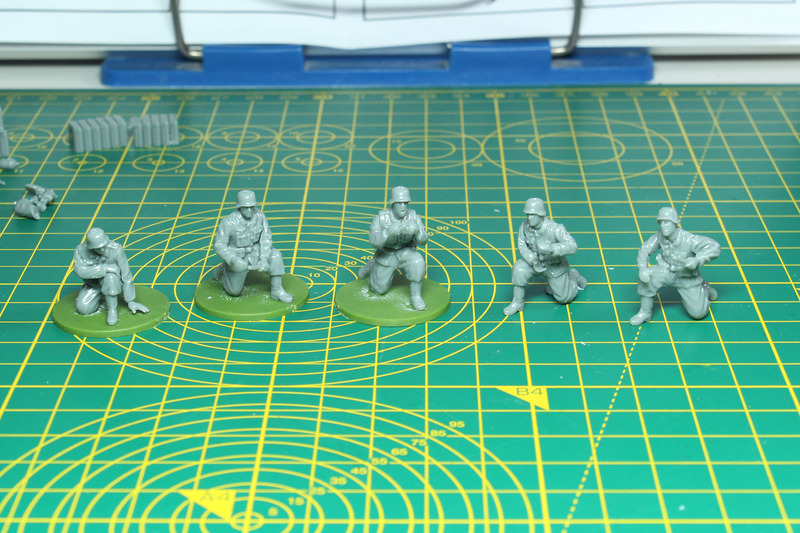 I am not too keen on the crew though, they are kept in a realistic scale by proportion and details, but if you scale something down to 28mm you have to overdraw some of the features, to still keep them visible. I do not see that as a big problem with this kit or range. 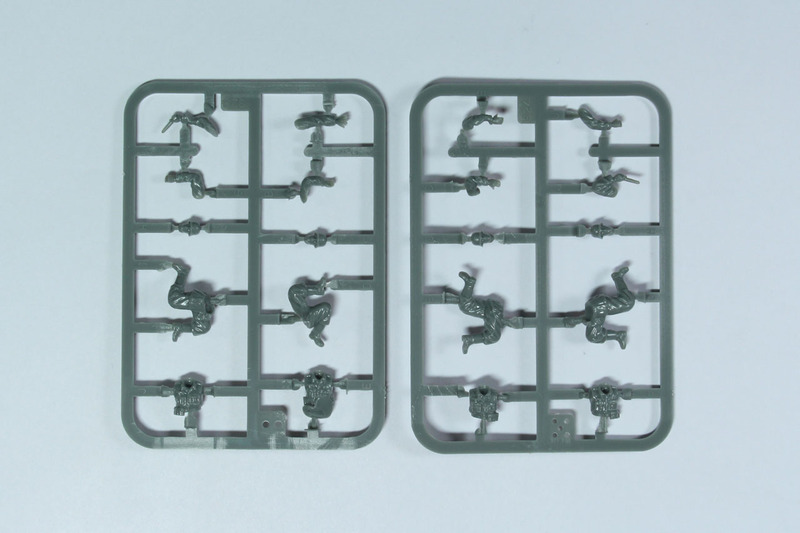 One the one hand, they are rather fresh into non-vehicle models, so like they improved with those I'm very confident the infantry will become better as well and on the other hand, I use the vehicle kits primarily with armies made from infantry Perry or Warlord Games miniatures. 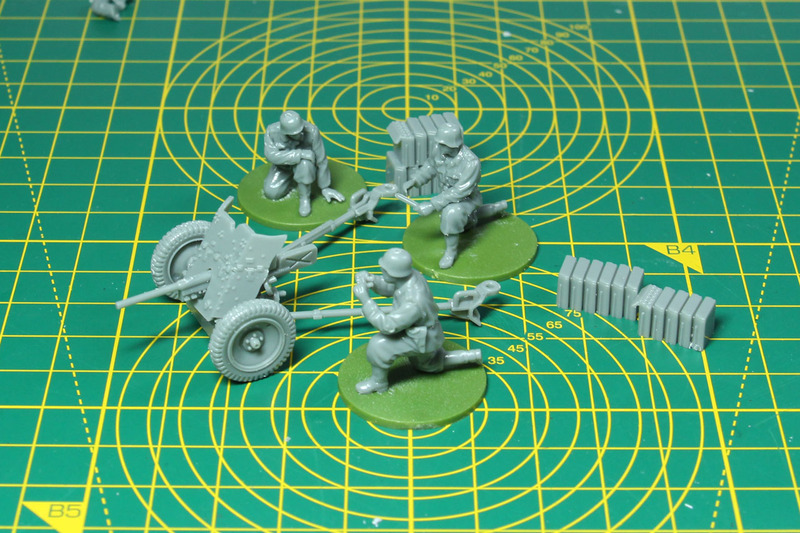 Same here, I'll be using the really well done anti-tank gun with a Spanish Civil War crew by Empress Miniatures. This anti-tank gun kit can be used in nearly every theatre of war of World War 2, by a lot of axis and even allied nations. It can be used for many inter- / pre-war scenarios as well, like the mentioned above Spanish Civil War or Sino-Japanese War. 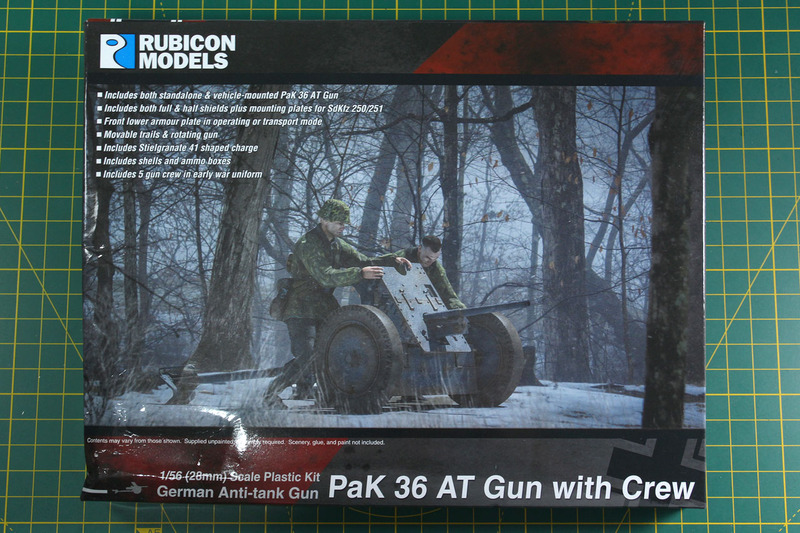 At a price of 12 GBP it is cheaper and covers more options than the PaK 36 blister packs by other manufacturers.